TROTRO WINS THE EXPORT PRIZE 2017! Home › News › TROTRO WINS THE EXPORT PRIZE 2017! Trotro put the icing on the cake by winning the 13th edition of the TVFI Export Prize rewarding the programs most sold abroad after its stunning performance both at home and internationally. Although competing with equally iconic programmes – Les Chroniques de Zorro (Cyber Group) et Sonic Boom (Lagardère) Trotro came out on top to clinch the gold and cement itself as a frontrunner in children’s television. 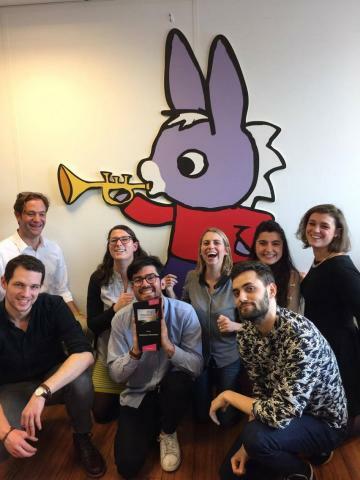 We are so proud to have Trotro as part of the Mediatoon family and are looking forward to what the future holds for our favorite little donkey!